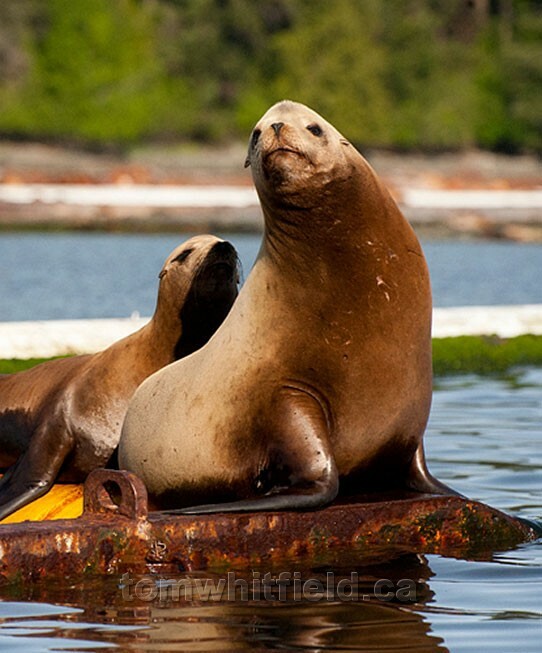 Nanoose Bay takes in several large peninsulas and can offer private acreages with forested rocky outcrops, some with truly spectacular snow-capped Vancouver Island and Coast Range mountain viewscapes immersed in blue ocean. 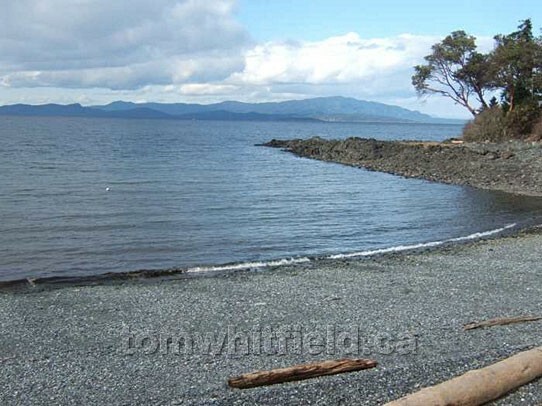 Real estate in Nanoose Bay real estate offers privacy, natural surroundings, a small-town community feel and yet is minutes away from the city amenities of either Parksville or Nanaimo. An aerial view of Craig Bay with the Nanoose peninsulas in the background. 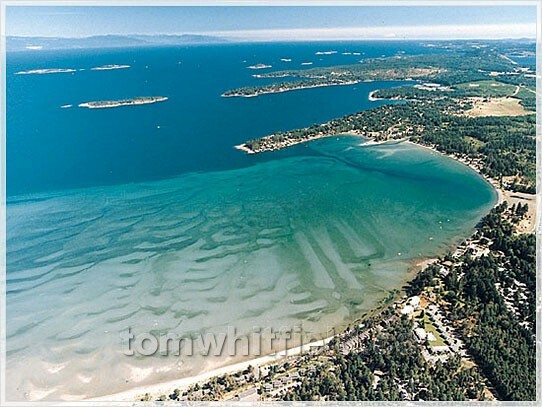 The Nanoose Bay area has cool wet winters with 80 to 85% of the precipitation falling between October and April. 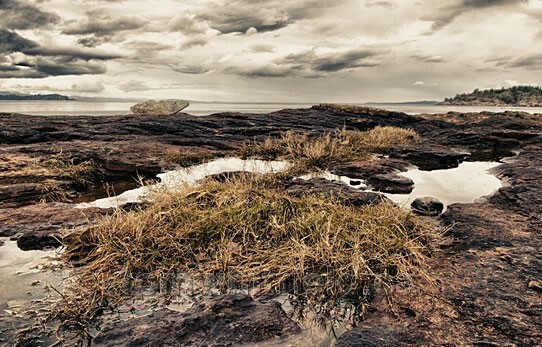 The Nanoose peninsula is also surrounded by the Pacific Ocean on three sides, resulting in less rain (about 33 inches annually) and warmer winter temperatures. Mean daily temperature range from 1 to 3°C (34 to 37°F) in January with cloud and rain from north Pacific air masses dominating the winter weather. 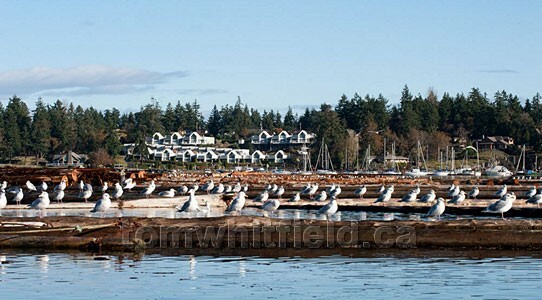 This coastal region enjoys this significant climatic benefit from being in close proximity to nearby Vancouver Island Mountains. As the strongest winds come in from the southwest, this region lies in the rainshadow of nearby Mt Arrowsmith and Mt Moriarty. Clouds heading in off the Pacific drop their moisture over Tofino, Ucluelet and Pt Alberni (ie. about 250 inches) , thereby giving this local microclimate a significantly drier result than both Nanaimo (ie. about 50 inches) to the south and Courtenay/Comox (ie. about 55 inches) to the north. In a normal winter, the strongest winds and perhaps some snow may come in December. Usually by the end of January the crocuses and snowdrops are blooming with Spring heralded in the later parts of February with daffodils. The area is amenable for almost year-round gardening and golf. 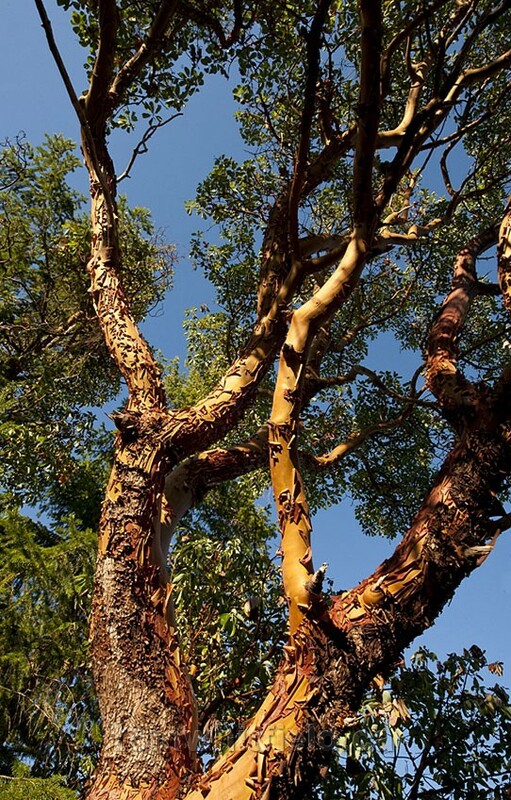 Environment Canada rates southeastern Vancouver Island as having the most favourable climate in all of Canada, on the basis of mild winters, abundant sunshine, little fog, light winds and low humidity. Truly a golfer, gardener or sailor's paradise! 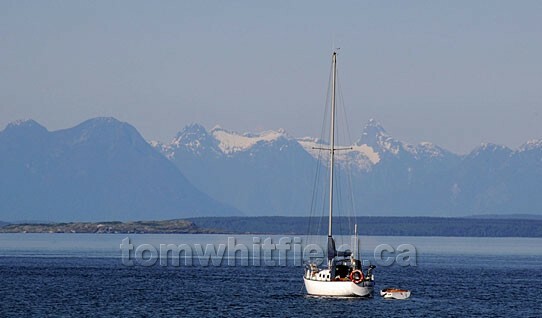 A sailboat is seen against the backdrop of the Coast Mountains on the B.C. mainland. 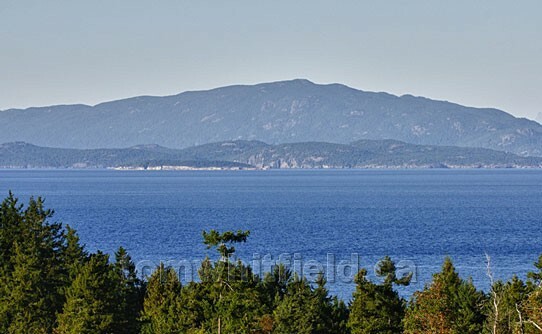 Lasqueti and Texada Islands across from Nanoose Bay. 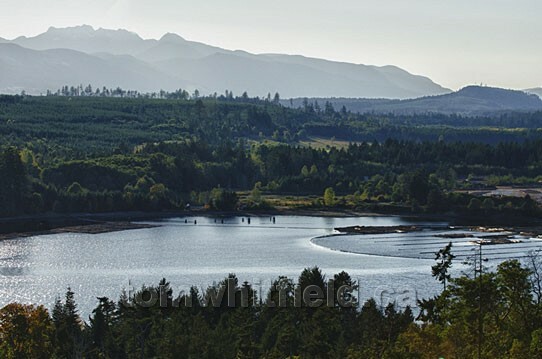 Looking across Northwest Bay to Mount Arrowsmith. Mount Arrowsmith on Vancouver Island behind Northwest Bay. Boaters use either the Beachcomber Marina (shown here) or the nearby Schooner Cove Marina in Fairwinds. 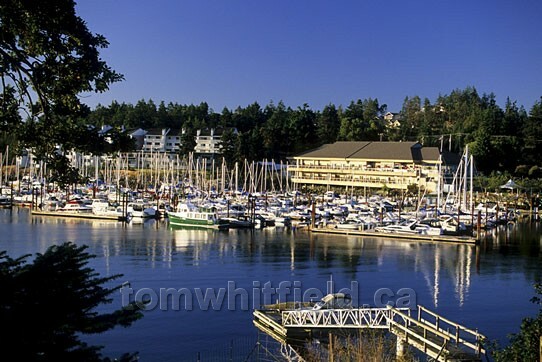 The Beachcomber Marina and log booms in Northwest Bay. The Beachcomber Marina in Northwest Bay. 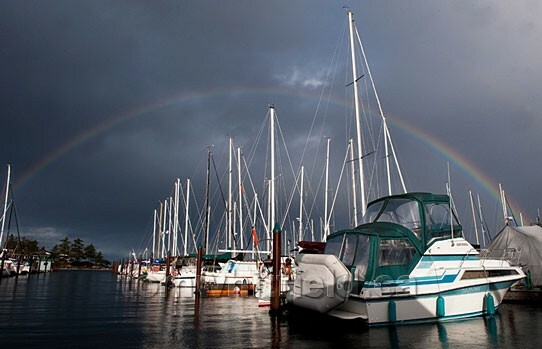 A full rainbow is caught in this New Year’s day photo taken at Beachcomber Marina. 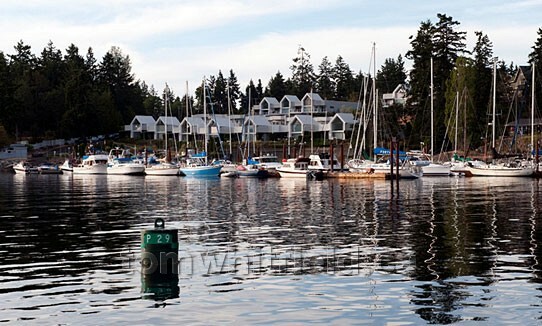 Schooner Cove Marina at Fairwinds in Nanoose Bay. Golfers love the course at Fairwinds or use any of the other 5 nearby courses suited to a variety of skill sets. 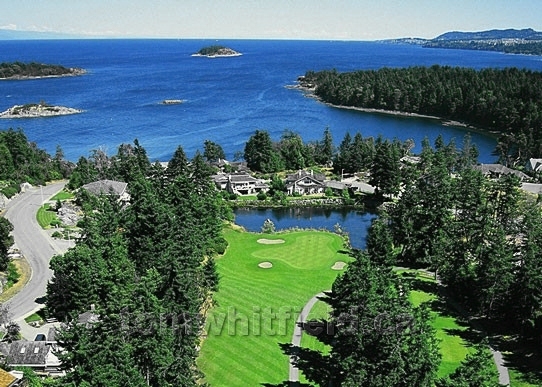 Aerial view of Fairwinds golf course. 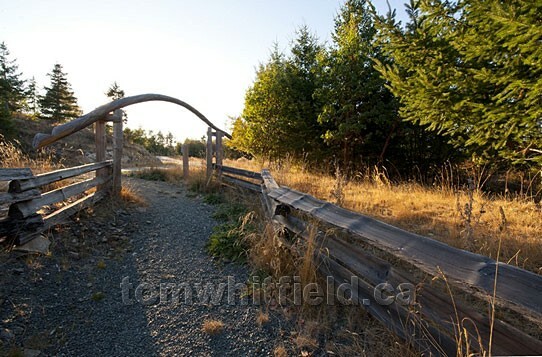 Nature trails abound in Nanoose Bay, accessing panoramic mountain/ocean/island vistas meandering through unique Garry oak, Arbutus and Fir forests sketched out over rocky terrain. Scuba divers frequent deep rock walls with refreshing currents providing habitat to a wide variety of colourful marine life. The Prawn Trail to Moorecroft. 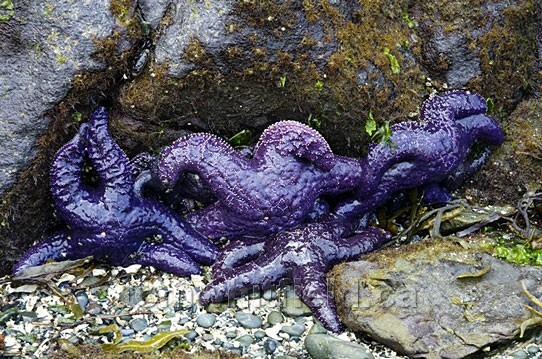 A world-class beach is found here on the white sands of Rathtrevor Beach and extend about a mile out at low tide offering unsurpassed beachcombing. Other smaller beaches are found in the area including Wall Beach, Brickyard Bay and a few others. 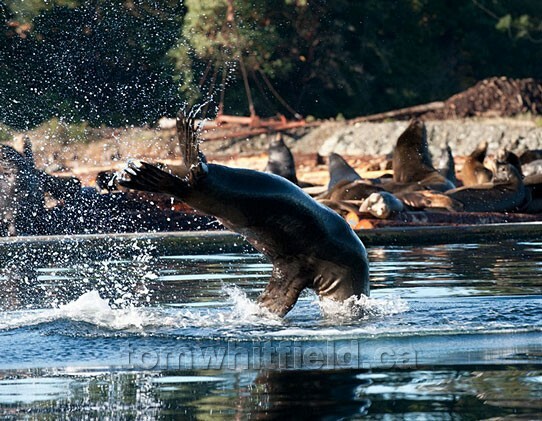 Nature abounds in Nanoose Bay! 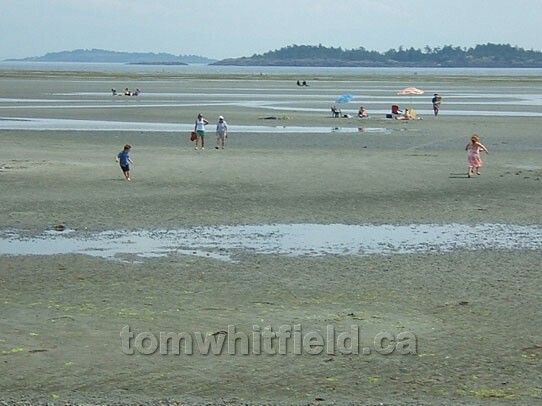 Families enjoying Rathtrevor Beach at low tide. 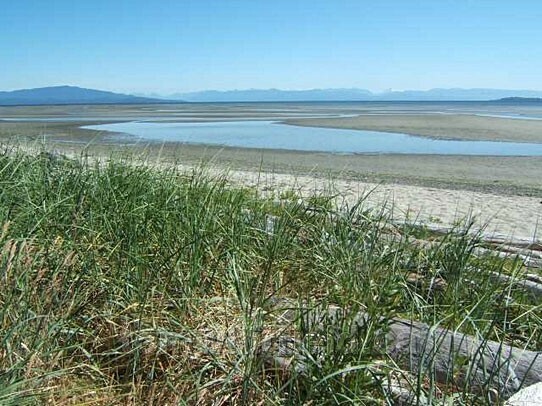 Tall grass growing at Rathtrevor Beach. 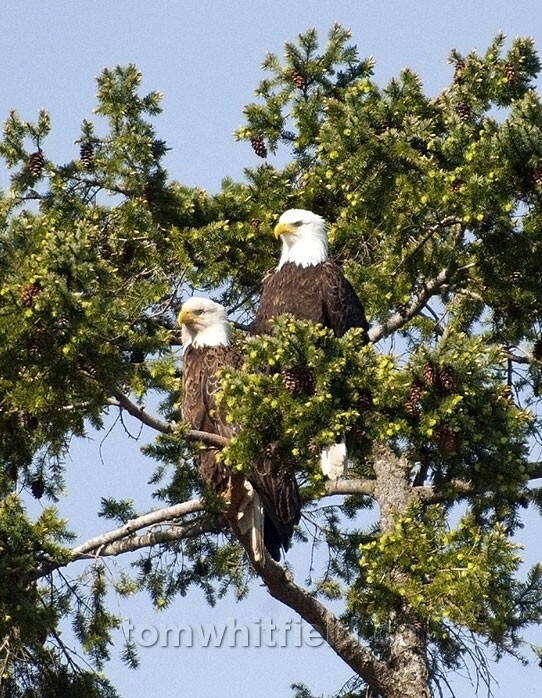 A pair of eagles perched proudly at Nuttal Bay. 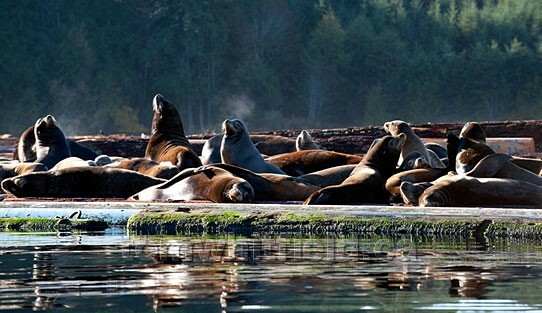 Sea lions in Northwest Bay basking in the sunshine. 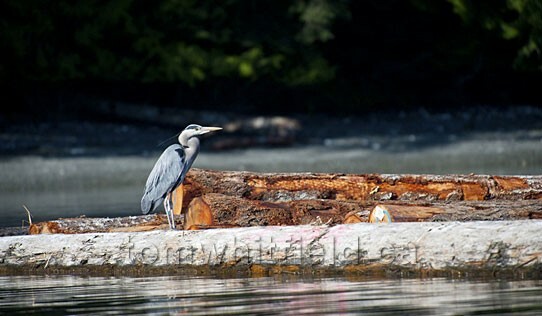 A Great Blue Heron sits on a log boom in Northwest Bay. Sea kayakers enjoying one of the many rocky peninsulas and multitude of bays perfect for exploring the intertidal zone. 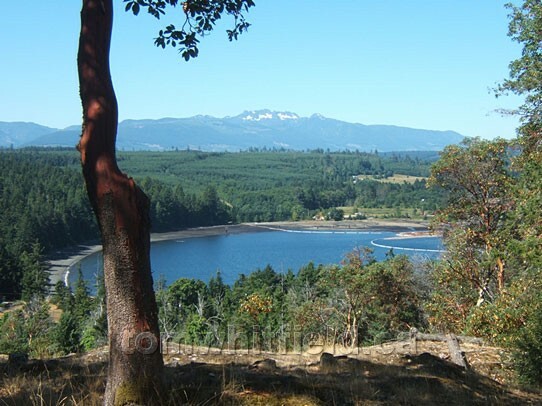 View of Northwest Bay from a private Nanoose Bay location. 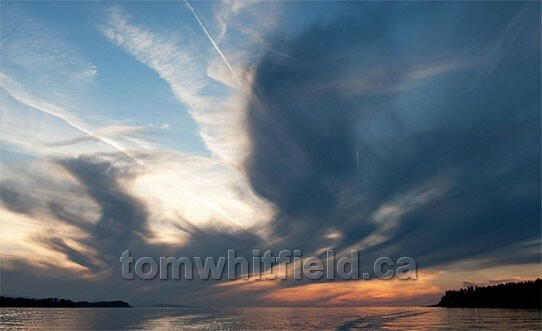 Interesting cloud formation dominates the skyline of this Nanoose Bay sunset.